One of our favorite Instagram accounts to follow here at Pedaling Innovations is The Bike Dads (@thebikedads). As a dad myself I love to see their posts showing kids and adults sharing a common love of riding bikes. A few months ago we sent them a pair of Catalyst Pedals to check out. As a fellow dad on a bike I was excited to get their feedback on them and how they helped them have more fun on the trail and with their kids. “Most people think about pedal performance in how they pedal uphill. My favorite part about these Monster pedals was how they were on the downs. Last summer I craved steep trails and the platforms allowed my legs to keep up to my local pinners when my fitness was more than lacking after baby number two. I have used these pedals on long xc rides, at indoor bike parks, freezing my tail off fatbiking, pulling the kids in the trailer and lapping my local freeride zone. And this just adds to a growing list of reviews and rider feedback sharing similar stories. 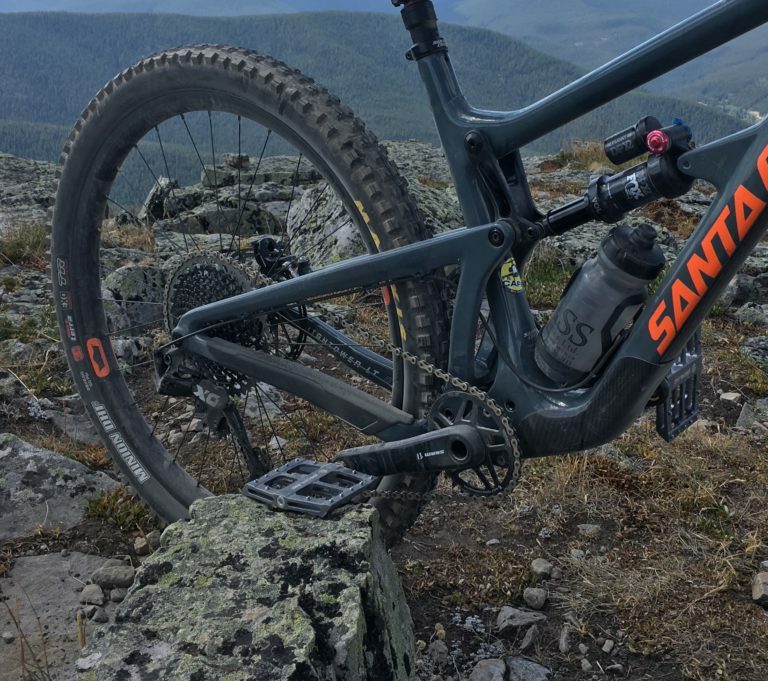 Being able to better engage the hips while riding improves pedaling power on the uphills and stability on the downhills, adding up to more fun and less fatigue on the trail. Helping adults feel like kids again on the bike is one of our main goals so if easier climbs and faster descents are something you’re interested in then visit www.pedalinginnovations.com to learn more. Read related articles in: Random Pics and Stories. Sign up for insider updates from Pedaling Innovations — including, news, pre-release special offers, and pricing for our early adopters! We’ll keep your email safe and you can opt-out any time. Enter your name and email below to receive a coupon code for Free Shipping! Sign up for the Pedaling Innovations newsletter to learn more about how flat pedals can help improve your pedal stroke and skills. I’ll also keep you posted on new products, special deals and other news. You will receive your free shipping coupon code in your first email.